Andrew White, the son of late Gov. Mark White, is mulling a run for governor as a Democrat in 2018. White, a Houston investor, told The Texas Tribune on Tuesday that he is going on a "social media listening tour" before making a decision about whether to challenge Republican Gov. Greg Abbott. He said he expects the process to take three or four weeks. White said he never had a desire to enter politics, but that began to change after the death of his father earlier this year and then Hurricane Harvey. Describing himself as a "very conservative Democrat," White suggested he would run a campaign appealing to Texans who are fed up with policymaking exclusively aimed at the Republican primary electorate. "Most Texans don’t care about the bathroom bill, and when you call a special session ... for the bathroom bill, you know you’ve got a problem with your leadership, and it’s repulsive," White said, referring to a controversial proposal to regulate which restroom transgender Texans can use. Texas has not elected a Democrat to statewide office in over two decades — and White would face an uphill battle against Abbott, who has built a staggering war chest for his re-election bid. White said he was undaunted. "With 40 million bucks," White said, "you still can't buy people's votes." The clock is ticking for Texas Democrats to find a serious gubernatorial candidate, with the filing period beginning Nov. 11 and running through Dec. 11. Among the Democrats who have already announced they are challenging Abbott are Jeffrey Payne, a businessman from Dallas, and Tom Wakely, a former congressional candidate from San Antonio. 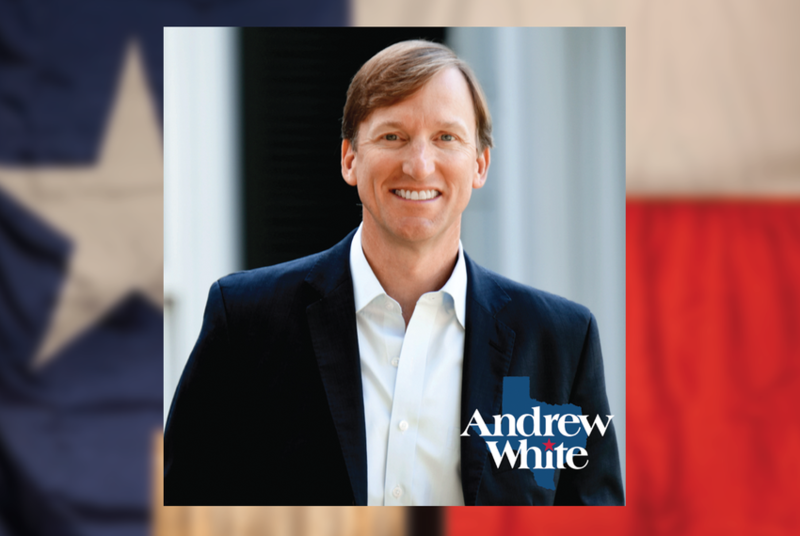 White first spoke with Texas Monthly on Tuesday about possibly running for governor. He launched a website later in the day soliciting input on a potential run.